The Democrat establishment beckoned, and former President Obama appeared. 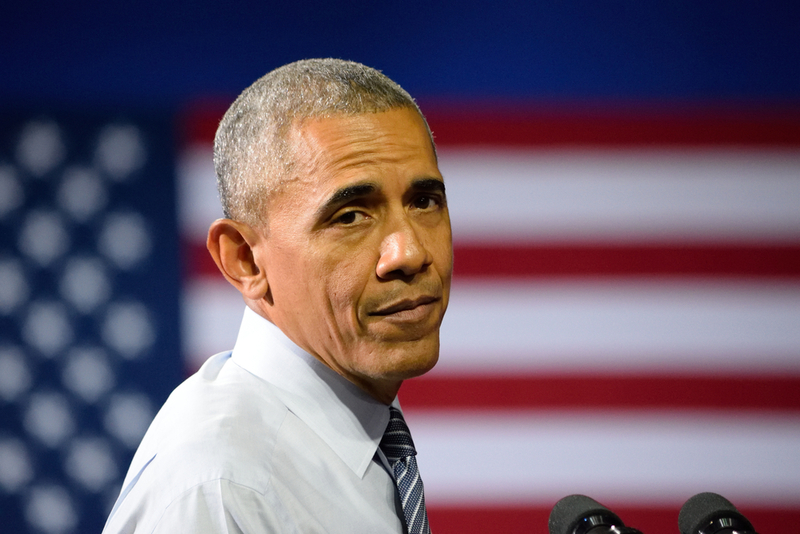 After months of desperate entreaties, highlighted by a summer New York magazine cover story titled “Barack Obama, Where Are You?,” Obama returned on Friday with a longwinded speech at the University of Illinois. It featured his greatest hits of identity politics, income redistribution, and tax-spend-and-regulate leftism. Reality check: Obama presided over the slowest economic recovery in American history, with the unemployment rate not falling back below 8 percent for good until his second term. While in office, the economy never hit 3 percent annual growth — the first president never to meet that threshold since Herbert Hoover. Somewhere between most and virtually all of the new insured population came through the Obamacare provision to dramatically expand Medicaid — a deeply flawed program — to able bodied adults well above the poverty line. It’s true that six years into his presidency, jobs numbers finally began surpassing the respectable 200 thousand a month threshold. But what he doesn’t mention is that in the four year period from 2010 to 2013, after the recession had ended when there should have been a robust recovery, monthly job growth averaged a meager 158 thousand a month. This slow recovery was largely due to his anti-business policies and regulations that discouraged hiring. When the economic wheels finally began turning in Obama’s second term, with a major assist from the unprecedented money printing by the Federal Reserve, Obama was fortunate to pick the low-hanging fruit; it’s a lot easier to go from 8 percent to 5 percent unemployment as Obama did in his second term prior to Trump’s election than it is to go from 5 percent to 4 percent unemployment as President Trump has done. These additional employment gains under Trump are what make history, including the lowest black and Hispanic unemployment rates on record. They’re what give even the least-skilled jobseekers the opportunity to grasp the bottom rung of the career ladder and have the chance to live the American Dream. They’re what allow quarterly economic growth to surpass 4 percent for the first time in 12 years without an economic contraction in a recent period. And they’re what allow wages to grow at their fastest pace in a decade. How has President Trump buoyed Obama’s lackluster recovery to new heights? Through pro-growth policies like deregulation and tax cuts. These have allowed job creators the freedom to expand, hire, and raise pay. They’ve also kept more money in the private economy where it can stimulate communities and Main Streets, not bureaucratic budgets in Washington as Obama and his followers desire. President Trump called Obama’s speech boring. He’s right. But more than that, it was tired and shopworn. Just like the rest of the Democratic message.